Do you have generosity in your heart and extra space in your home? Low income individuals and families including college students may face a temporary housing crisis. We screen responsible and healthy applicants who will benefit from temporarily moving in with a supportive host, allowing them time to regroup. If you have one or more unused rooms in your house or apartment, you can volunteer as a Safe Time host. We will present a well-vetted, safe, and compatible client for you to read about, meet, and then welcome as your temporary guest. If you live in the Bay Area and are at imminent risk of becoming homeless, please send an email with a summary of your situation. If we can help, we will email back a detailed application which will request references and detailed information. Our prospective guests are at risk of losing their homes or may already be couch-surfing with relatives and friends. Our program only arranges placements where hosts will feel perfectly safe. Guests must be sober and healthy, with no violence in their lives. And, they must have a credible plan to achieve traditional housing within a small number of months. When we have a client that matches your offering, you receive a thorough description with references. Next, you meet the potential guest twice, once at a coffee shop, and then again, on another day, at your home. Become a host! 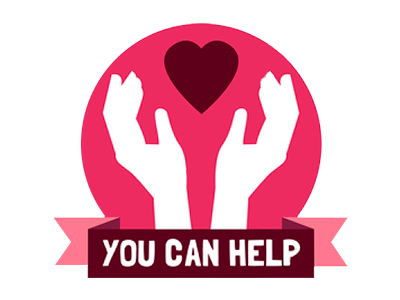 Enrich your life by helping the needy and also by helping solve a social problem.